"In reading the lives of great men, I found that the first victory they won was over them... Self-discipline with all of them came first. - Harry S Truman"
The school discipline policy aims at creating an environment in which all members of the school can live and work together in a supportive way. It aims to promote an environment in which everyone feels happy, safe and secure thus promoting good relationships and an environment conducive to learning. By sharing the expectations students are encouraged to develop self-control, a sense of regard for fellow students and a sense of pride in their school and community. One of the goals of education is self-discipline, so parents, teachers, and administrators will work with students to establish guidelines for acceptable behavior. Appropriate action will be taken by the school administration, in consultation with the Principal,Teachers, Prefectural Board and concerned student when inappropriate behavior of a student continues to disrupt the educational programme. Recommendations for persistent violations may be expulsion from the school. Every student will read and sign an undertaking of accepting and following school rules at the beginning of a new session every year. Motivation and appreciation is the key to encourage children to do better and better. Students in the Pre Primary classes are in the initial formative years before their formal schooling. The encouragement in the form of special certificates like student of the month, cute child, most obedient child, star child motivates and inspire children. Regular motivation in the form of smiles, stars and achievement certificates is an ongoing process. The small attractive gifts are something which every tiny tot of pre primary looks forward to have from their teacher. The student who shows exemplary performance in academics, sports ,co curricular activity ,personality and is an all rounder in the true sense is eligible for student of the month award. Appreciation Day is celebrated each year to acknowledge and facilitate the efforts undertaken by the child in the entire session. 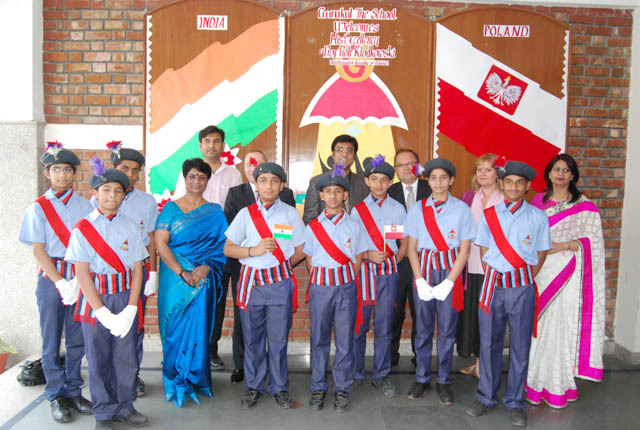 Various platforms are provided to the children throughout the year to showcase their latent talents. 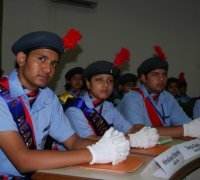 Gurukulites participates in variety of intra-class, interclass and inter house activities. Although the parameters to award the child are countless yet the school broadly classifies it in the following categories where any child who fulfills the minimum criterion becomes eligible for the award. This number may be more than one in a particular category. Students are identified as “scholars who excel” in academics. Any child getting A+ or more then 85% is awarded the coveted scholar badge. Every month a number of creative writing competitions are held to recognize the innovative inclination of a child. A child emerging as the winner in the maximum competitions tabulated throughout the year receives the trophy of the best creative writer. A child serving the less fortunate, showing sensitivity to the global concerns throughout the year is a recipient of the Best Interactor Award. Sports competitions are held throughout the session to enhance strength, stamina, co-ordination, agility and flexibility. A child displaying best sportsmanship throughout the year gets the sports award. The identification of any child who has a melodious voice is awarded the nightingale award. The child voted the best in instrumental music and the best dancer is a ‘recipient’ of musical symphony and tapping feet award. After rigorous competitions, judging the vocal proficiency of child in both the languages English as well as Hindi, held in the school , a child confirms his participation in the inter school competition. The trophy is awarded to children who are a juggler of mathematical operations, computer and scientific temperament respectively. Roleplays, Recitation Competition helps us to analyze the aesthetic excellence in characterization. A child who gets identified displaying co-ordination of hand, mind and face receives the award. A child who dares to play with creative ideas and ways of expression gets the Budding Artist Award. 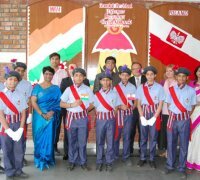 A child who excels in all the areas be it scholastic, discipline, punctuality is adjudged as an all rounder and pride of Gurukul. In order to appreciate and encourage the scholastic virtues in our inexorably brilliant students there exists a system of scholarship for those who have scored 85% (A) and above in the CBSE Secondary Examination. This takes the form of fee waivers to these outstanding students. The democratically-elected Student Council forms a formal link between the school's administrative body, faculty members and the students. The Council includes faculty advisers and the student representatives, which has Primary, Middle and Secondary School wings. Their involvement is sought in a wide range of projects including the disciplinary systems and peer-counselling,formalizing and implementation of the Standard Operating Procedures. It is also consulted from time to time by the Administration on such matters as the development of curriculum and facilities. The assessment & promotion in Classes KG to X shall be governed in conformity with the guidelines of continuous and comprehensive evaluation submitted by the Board where there is holistic evaluation of the learner including both scholastic and co—scholastic areas. There will be two terms in both the classes IX & X. The first term will be from April to September & the second term from October to March of the subsequent year. Each term will have two Formative and one Summative Assessment to be indicated in Grades and Percentile rank. The Co-scholastic Areas will include Life Skills, Attitudes and Values. The philosophy behind the teaching is "We play as we learn and we learn as we play." Goals are set in a programme consistent with the early stages of a child's development. The programme includes the following skills: Linguistics, Creative, Numerical, Social/Interpersonal, Motor and Kinesthetic . Thus, we hope to hone the child's intellectual, physical, cultural, artistic and communication skills in a free and stimulating environment. Children have lunch together and this helps in the development of social skills. 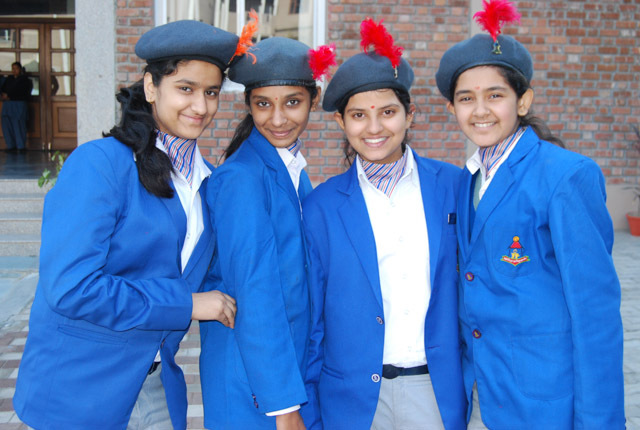 Gurukul believes that every child is unique individual with unique learning abilities. In the formative years the emphasis is on the development of language in the child. This inturn is done through honing various skillls like listening, speaking,reading and writing. There is no formal assessment and child is compared with his previous performance. It is a continuous process where the child competes with himself. 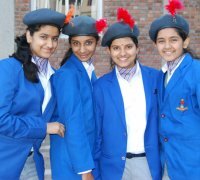 These classes have an integrated academic programme devised to inculcate confidence in the child. The environment is communicative and children are motivated to express themselves. Reading is a vital part of the programme. Children are encouraged to ask questions. We offer: English, Hindi, Mathematics, Nature Studies / Environmental Studies, Social Studies, Computers, GK, Art, Music, Dance, Martial Arts, Games, Yoga and Sports in class room teaching. 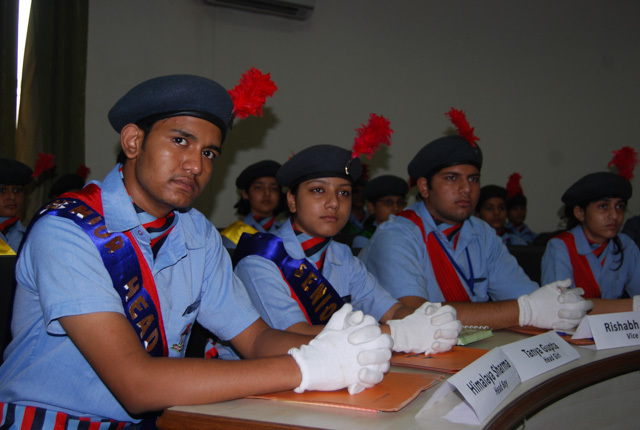 The academic programme is designed to develop personal and group values. Formal study skills are inculcated and methods and strategies for strong work habits are taught to the children. The student’s performance is assessed using conventional method of numerical marking in the six main subjects of scholastic area in Formative Assessment including Weekly Tests, Assignments, Home Work, Practicals, projects, Quiz and Oral work. Summative Assessment includes the End Term Exam. The ‘Grades’ shall be awarded to indicate the subject wise performance. The ‘Grades’ shall be awarded on a nine point scale as per the table below. Those students who obtain the qualifying grades (D and above) in all the subjects as per scheme of studies shall be awarded a Qualifying Certificate. Those who get a Qualifying Certificate shall be eligible for promotion/admission in the next higher class. Those students who are not able to get qualifying grades (D and above) in all the subjects as per scheme of studies shall not be permitted for admission in the next Class (X and XI). Exemptions available to Differently Abled students as per CBSE rules shall continue to apply. 1. Attendance should be at least 75 %. 2. Marks in each subject to be at least 40 %. 3. The school shall conduct two terminal examinations & four cycles of unit tests which carries weightage of 60 and 40% respectively in which the student should score atleast 40% in aggregate and compulsorily get passing marks in individual subjects too. The Class XII examination shall be conducted by the Board. At school level, there shall be two terminals, one revision test and two pre-boards. Students are prepared for admission to College/University. The academic programme concentrates on providing a sound educational experience in a safe, nurturing and challenging scholastic environment. The students are also made to face situations where they have to use their innovative, imaginative and organizational skills.